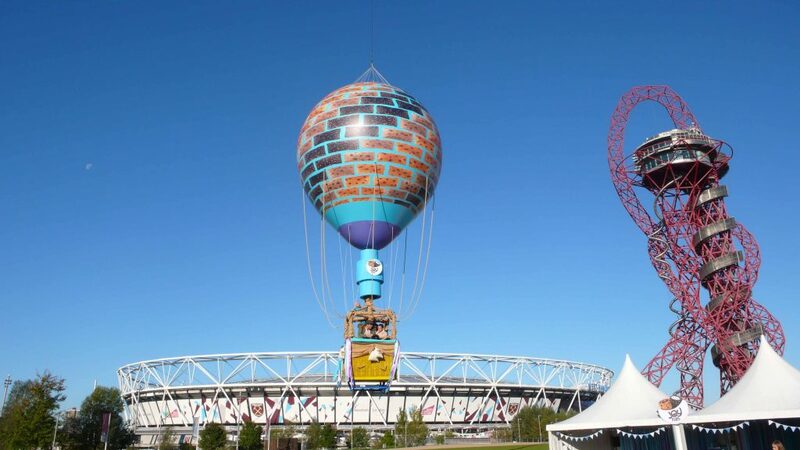 News Hot Air Balloons for Mike and the Mechanics! 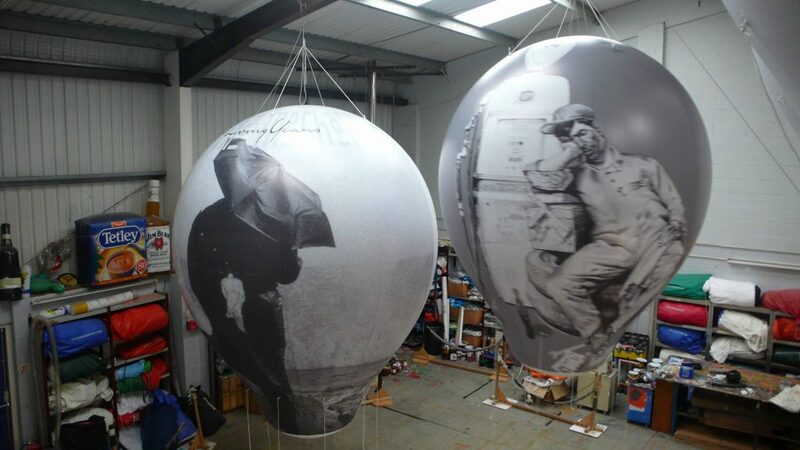 This month we made all the inflatable hot air balloons for the stage set for Mike and the Mechanics UK tour! How cool is that?! We have been producing inflatables for the music industry for many years, including some pretty amazing rock bands. Led Zeppelin, the Rolling Stones, Pink Floyd and Roger Waters. We made the inflatable stage sets for the last Yes World Tour and most recently, for the American rap star, Travis Scott. 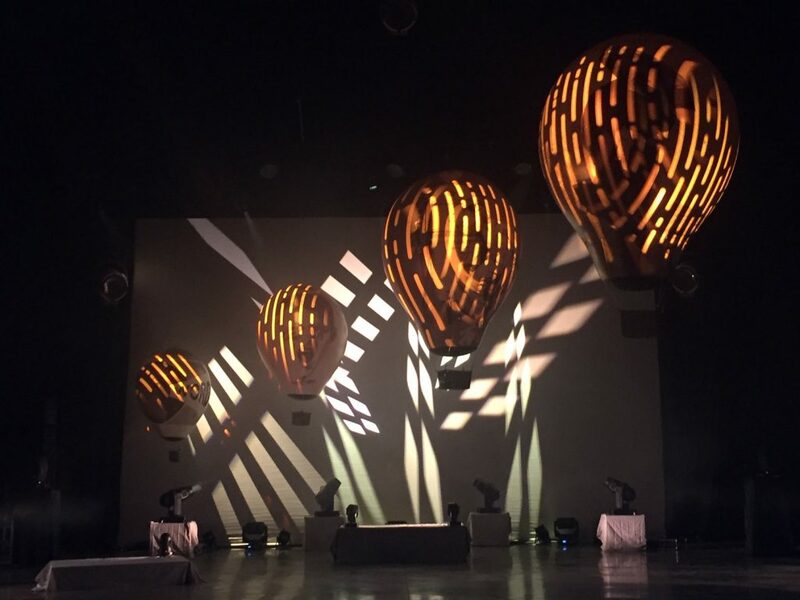 So when we were asked if we could produce some sealed air inflatable hot air balloons for Mike Rutherford’s forthcoming UK stage set, we knew we could do it. It was a tight turn-around. They had to be ready on time as the tour was to start in little more than a couple of weeks. But we knew we could rise to the challenge of meeting the quick deadline. As you can see they are quite spectacular. 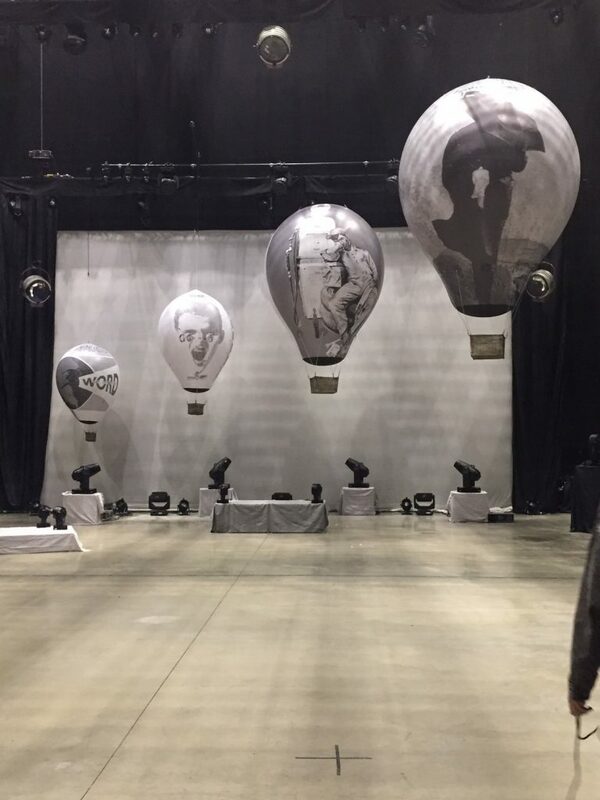 We printed the images on one side of the hot air balloons in monochrome so that the bands clever lighting director could project onto the balloons. To finish the job off we sourced hot air balloon baskets to hang underneath each one. They are not real hot air balloons, of course – just the opposite. They are actually inflated with cold air and then suspended from a truss in the ceiling above the stage. Don’t they look brilliant? So effective and brought a real ‘wow’ factor to the stage set. Mike loved them! We have established an enviable reputation for making inflatable hot air balloons. In the picture below, you can see one we made for Cadburys to launch their new biscuit brand ‘Joy Fills’. 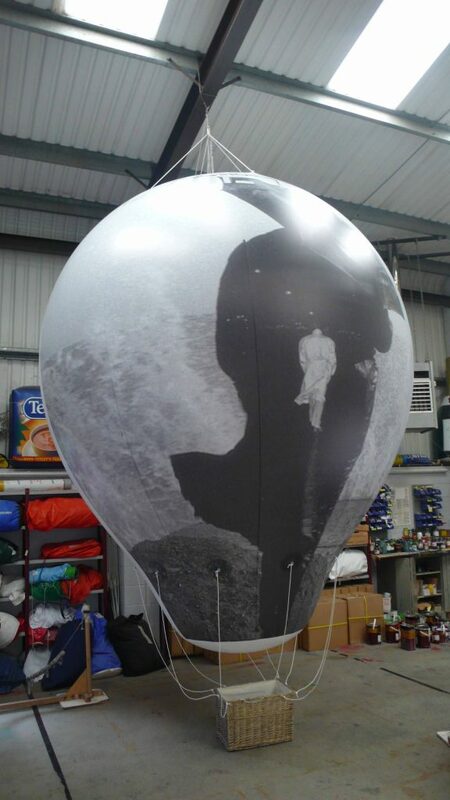 It is an example of another complex design and print successfully executed by ABC Inflatables. You can read more about that story here – 8th October 2018 News. Why not give us a ring on 01295 278600 and have a chat about what we can do for you? 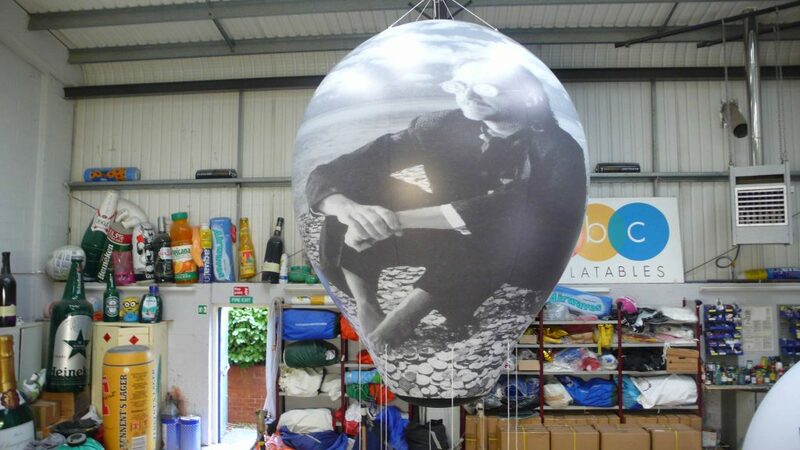 Would you like one of our replica hot air balloons for a show or promotion? We have a wide range of other inflatable products, so take a look at our product pages for inspiration.